Browse: Home / It’s what conquerors do…. 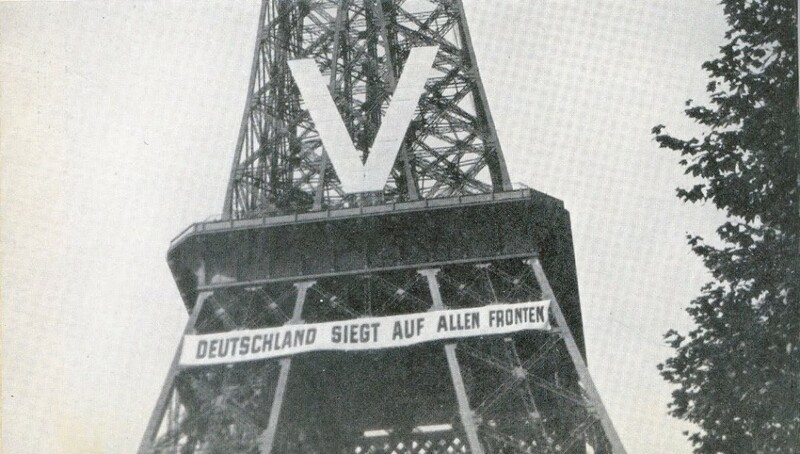 It’s an iconic photo from 1940, the Eiffel Tower draped in a banner proclaiming ‘Germany Victorious Everywhere‘. It’s what conquerors do and always have done. Demonstrate to the conquered people who’s boss. 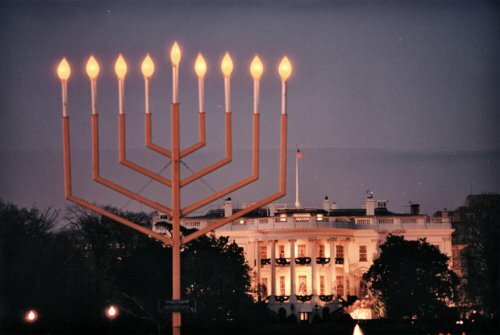 Maybe that’s why a giant Menorah stands on public lands just across from the White House while displays featuring Christian icons such as the Nativity have been banned from the same location. Now you’d imagine that this flagrant triumphalism might awaken some residual flickering patriotic flame of even the most brainwashed, emasculated, feminised American gelding. Especially when in one form or another it’s shoved in his face wherever and whenever he looks. Like Sarah Silverman expressing her revulsion at everything her host country represents (previous post) while cheerfully admitting to millions of Christian Americans that she’d happily crucify Him again should Jesus return to earth. You’d imagine it would. And maybe it will. Because – as I discovered when researching the history of ‘anti-Semitism’ – Jews suffer from one fatal weakness: A sperg-like inability to know when enough is enough. From Edinburgh to Dubrovnic, from St. Petersburg to Lisbon, the same self-destruct scenario unfolded time and again. Push, push and push again until eventually, seemingly to Jewish amazement, the goyim explode in anger and another pogrom ensues. The signs of overreach – and hubris-based carelessness – are increasingly obvious even in trivial ways. From John Podhoretz referring to ‘goyim’ (cattle) in a Twitter feud, to David Aaronovitch using the Op-Ed pages of the London Times to warn that ‘Defending White Interests Can Never Be Right‘, to the increasingly transparent nation-wrecking machinations of Soros in eastern Europe. The signs of careless overreach are there and an increasing number of Whites are noticing. Time will tell. Meanwhile here’s wishing you all an early Happy Christmas…whoops, I mean Hanukkah!